Worlds cannot express the joy you brought to Karlee’s life and our entire family! I wish you could’ve seen her smile! 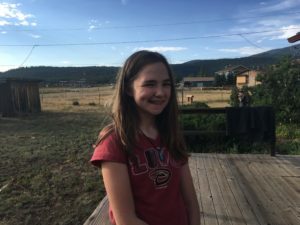 With your help we were able to give her the adventure of a lifetime one she will ALWAYS remember. 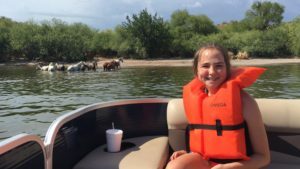 You gave her a pontoon boat ride with swimming, jumping off the boat and and being surprised by wild mustangs on the river bank. You gave her a ride on a ski lift to the top of a mountain. You most importantly gave her snuggles, hugs and giggles with all of her siblings in one place. I will be forever grateful for your generosity.